Espey Mfg. 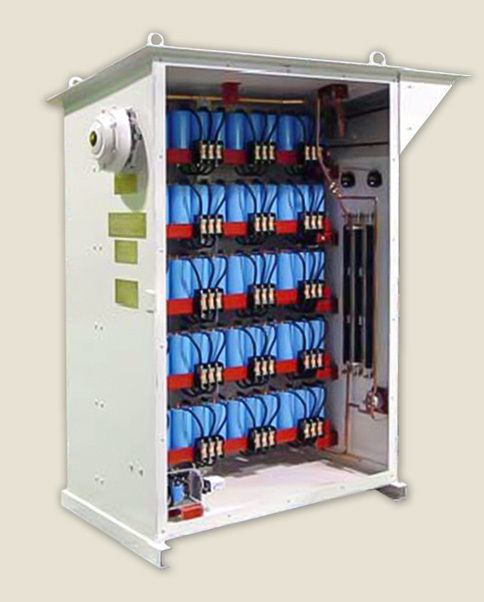 designed and manufactures power distribution system components including this Capacitor Network Assembly. They range from Power Distribution Centers, to Capacitor Networks, to Transmission Line Surge Suppressors up to 500kV. Espey’s design experience and manufacturing capabilities enable functional products in quantities of 1 to 1000. Includes NEMA Grade 3R Enclosure.